WELCOME TO ISCB-LA SOIBIO EMBnet 2018! Online registration is now closed. We will have onsite registration available. Need to know more about Vina del Mar and country information, check out the general information section. Plan to join us for the fifth International Society for Computational Biology Latin America, SOIBIO and EMBnet Joint Bioinformatics Conference 2018 (ISCB-LA SOIBIO EMBnet 2018) will take place in Viña del Mar, Chile, on November 5 - 9, 2018. 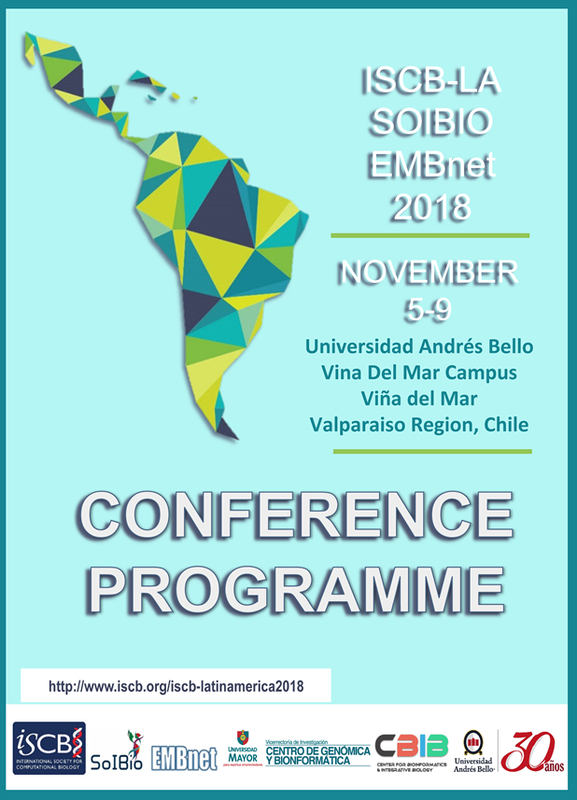 The major aim of the ISCB-Latin America, SOIBIO and EMBnet Joint Bioinformatics Conference 2018 is to inspire and foster collaborations between regional scientists and students to advance research in the areas of Bioinformatics and Computational Biology. The scientific program showcases exceptional keynote speakers, original research scientific talks, and poster sessions. ISCB-LA SOIBIO EMBnet 2018 will attract top regional and international scientists in the life sciences and offers a strong scientific program focused on scientific discovery in diverse subject areas through bioinformatics/computational biology. Topics of interest include sequence analysis, evolution and phylogeny, comparative genomics, protein structure, molecular and supramolecular dynamics, molecular evolution, gene regulation and transcriptomics, RNA biology, proteomics, systems biology, ontologies, biological networks, databases and data integration, text and data mining and information extraction, and human health. The scientific program includes abstract submissions so plan to submit to present your research. 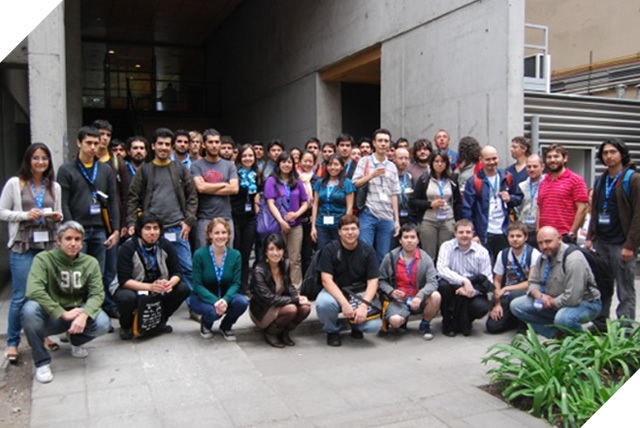 Plan to come to learn about the latest developments in the field, network with colleagues, and help shape the future of computational biology and bioinformatics in Latin America! This exciting biannual conference attracts over 300 researchers and students from around the globe. Abstracts of original research selected for presentation may be published in the ISCB Community Journal or another identified academic journal. Need to know how to get to Vina Del Mar from Santiago? Learn more here! Spacious, pleasing guest rooms perfect for your comfort. With 1 King size bed, buffet breakfast included, free wifi, private bathroom, flat screen TV, air conditioning, work desk, facilities for disabled guest and safe deposit box. Non smoking room. Room with two rooms (Living and bedroom) with nice view to the north of the city and partial to the sea. Comfortable and spacious, the Classic rooms offer captivating sea views, as does the Sheraton Signature Sleep Experience, a 32-inch flat-screen TV, high-speed Internet access and elegant decor. Two of these rooms have been specially designed with access for people with disabilities. In order to guarantee a comfortable stay, we have equipped all the rooms with: air conditioning - heating security box frigo bar LCD television stereo with USB port wireless internet connection bathrooms with hairdryers and exquisite herbal aroma amenities. TV cable, breakfast, heating, free wifi, phone, private bathroom. Single room with private bathroom en suite. Cable TV, wifi, amenities (soap, shapoo, balsam), towels and white sheets included. Include a good breakfast to start your days in the city! Cozy room with orientation overlooking the street. The temperature can be regulated efficiently since they have air conditioning, heating and fan. The bathrooms have: Shampoo, Balsam, Hair Dryer, Soap, polish and scrubbing. As for the ammenities highlights the high speed free wi - fi, the additional bedding, among others. Bedroom with Queen Bed, Wi Fi Free, Safety Box, Air conditioner, Amenities, Telephone, LCD, Cable TV. Breakfast included. Room with a private bathroom, TV and minibar. Internet access wifi.Tv Cable. Mini Bar. Buffet breakfast served in Restaurant. Each room has a private bathroom, cable TV, hot water, heating, mini fridge, safe, hair dryer and telephone.